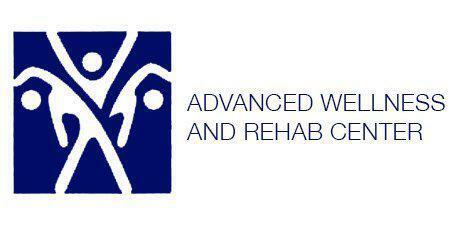 Dr. Reynardo Adorable and the staff of Advanced Wellness and Rehab Center offer their patients effective ways to manage back and neck pain. The doctor and his staff specialize in many treatment options including chiropractic care, physical therapy, and massage therapy. Patients who live in the Carrollton, Texas area as well as the surrounding communities, can visit the doctor to have all of their neck pain issues addressed. What causes carpal/cubital tunnel syndrome? The carpal tunnel that runs through the wrist and the cubital tunnel that goes through the elbow are small channels that contain vital nerves and blood vessels that support the hand and forearm. Both can be damaged through degeneration of the joint, a serious injury, or repetitive movements that are made during the performance of job-related duties or athletic play. Over time, the irritation to the tunnel and the connective tissues surrounding it can lead to inflammation and pain. The condition can continue to worsen, resulting in extreme pain and discomfort. If not properly treated, the condition can worsen to the point where the joint is so inflamed that mobility and range of motion are dramatically affected. Can adjustments to the neck help with headaches? Chiropractic adjustments to the neck combined with massage therapy can help relieve the pressure on the nerves and muscles and have a profound effect on headaches, migraines, dizziness, and vertigo. Neck injuries or strain on the muscles of the shoulders and neck can result in inflammation that decreases the flow of blood to and from the head. Inflammation applies pressure to the blood vessels and nerves that travel through the area. The greater the pressure, the higher the risk of headache pain. Chiropractic adjustments can re-establish structural balance, while deep tissue massage and physical therapy can strengthen and tone the soft tissues, reducing inflammation and discomfort. Can shoulder pain be caused by a neck injury? The peripheral nerves that leave the cervical portion of the spinal column travel through the shoulders and down into the arms. If a person receives a neck injury, the resulting pain will follow the same path as the nerves that are affected. Shoulder pain that results from an injury to the neck will often be eased by treating the neck through deep tissue massage, physical therapy, or chiropractic care. Manual muscle manipulation or manipulating the muscles with the the use of a TENS unit or other type of electrical stimulation will help reduce the pain and eliminate any inflammation that has started to build in the area. Dr. Reynardo Adorable of Advanced Wellness & Rehab Center provides Neck Pain Relief services throughout the Northern Texas DFW Metroplex, including Carrollton, Plano, Frisco, Lewisville, The Colony and North Dallas. Please feel free to call us at 972-366-5771 or request an appointment online today.